Some of you abuse your phones. You know who you are. You're the folks who are willing to fundamentally change the look, feel, and size of your phone by cramming it into an OtterBox case. A number of you have what few would dispute as a legitimate reason (you work in construction, work as a crash test dummy's stunt double—that sort of thing), while others just feel clumsy enough that their phones can't possibly survive the number of times they will fall against carpet and concrete. 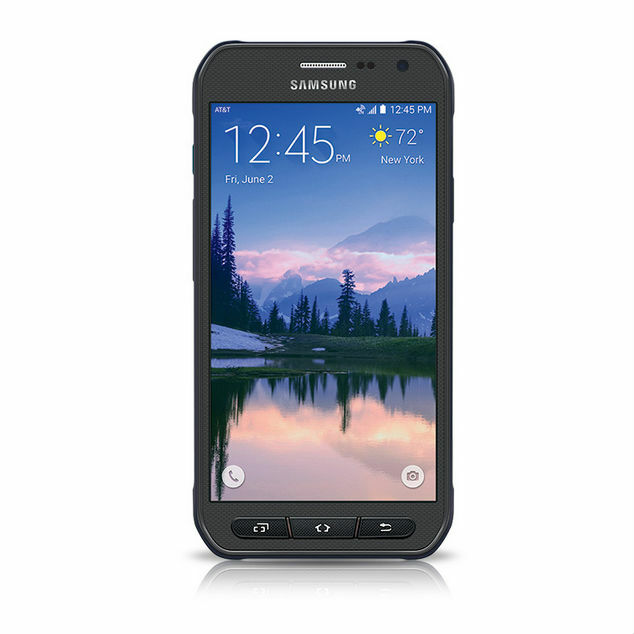 Either way, you're the type of person who may want to pick up a Galaxy S6 Active, which is now available from AT&T. Following a few leaked images, the S6 Active has arrived right on schedule. If you're just tuning in, consider the phone a rugged version of this year's flagship from Samsung. Like previous Active devices, it's water and dust resistant. The hardware is bulkier, comes with additional physical buttons, and does away with most of the sleek changes Sammy introduced with the S6. The S6 Active's specs mirror that of its slimmer sibling. You get a 5.1-inch 1440p display, a 16MP camera, and 32GB of storage. The battery, on the other hand, has received a significant bump from 2550mAh to 3500mAh. 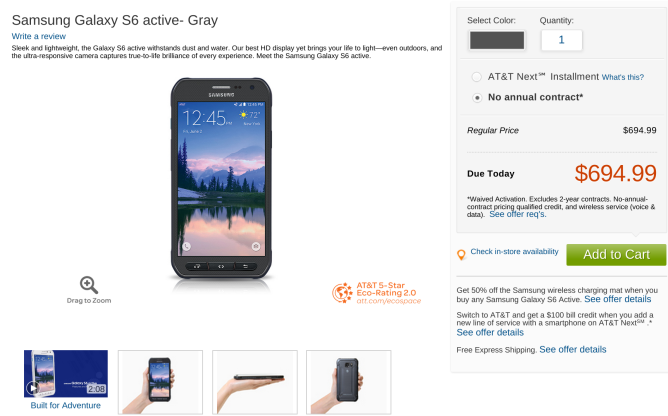 You can pick up the Galaxy S6 Active in gray, camo blue, and camo white. AT&T will part with the device for $695, which you can divide into monthly payments of $23.17, $28.96, or $34.75 depending on your Next payment plan of choice.